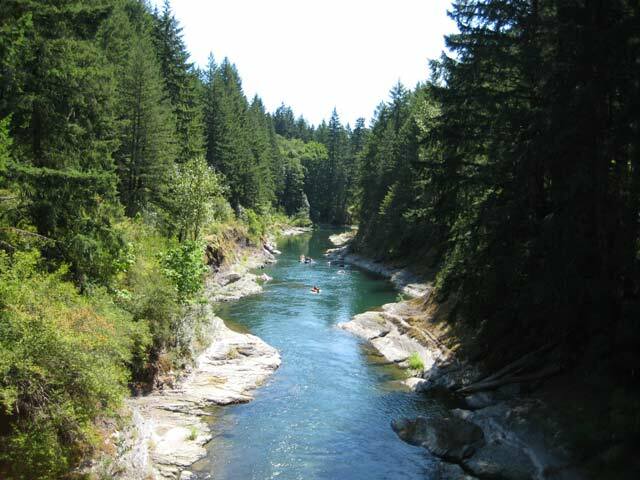 Cowichan River is located in the Cowichan Valley on the southern part of Vancouver Island. Cowichan River starts at the community of Lake Cowichan and flows 47 km (29 miles) through Duncan and empties into the ocean at Cowichan Bay. The river's history dates back to when the Hul'qumi'num First Nations lived along the river bank and used it as a food resource. The bountiful fish catch was ever present and, with the vast forests, provided the Cowichan tribes' existence for thousands of years. Later with the European settlement in the late 1880's, the river was used as a major conduit for transporting logs to the mills downstream. In 1924, the CNR was built mainly on the south side of the river with the CPR E&N Railway on the north side. Both railways delivered the enormous forest wealth found along the Cowichan River to the mills in Duncan and port facilities at Cowichan Bay. Today there is still a strong Hul'qumi'num First Nations presence along the river with reserves and land set aside for preservation near Skutz Falls at Skutz No. 7 and Skutz No. 8, Duncan and Cowichan Bay. The railway lines have all been torn up with most of the easy timber available having been logged off. Logging operations have moved and trucking the logs is now done from Mesachie Lake, a small community west of Lake Cowichan. 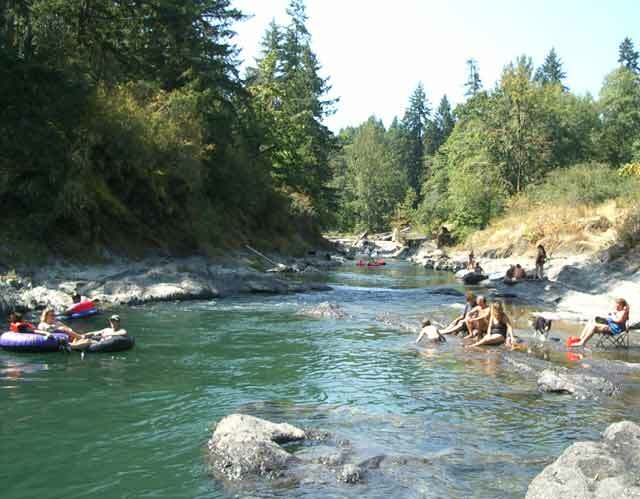 Throughout the entire length of the Cowichan River, there are a number of fishing pools, white-water kayaking areas, and swimming holes including numerous mountain biking, horseback riding and hiking trails that are used by outdoor enthusiasts. Some popular areas include the start of the river in Lake Cowichan towards Little Beach and the areas along the Cowichan River Provincial Park. 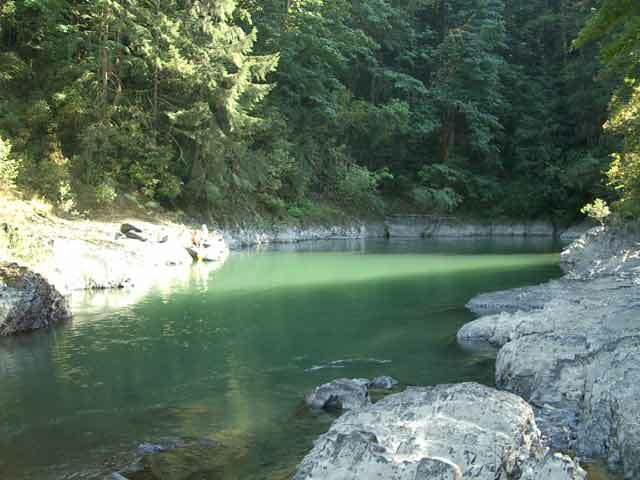 This popular spot is located approximately 25 km (16 miles) west of Duncan along Skutz Falls Road. The park is comprised of a number of sections along a 27 km (17 mile) corridor beside Cowichan River. The easiest way to access Cowichan River Provincial Park is from Hwy 1 and to take the Hwy 18 exit for Lake Cowichan and travel west to the posted signs. There are also a large number of recreational opportunities in the park including the very popular summertime pastime of tubing and swimming on the river. The tube, especially from Skutz Falls to Marie Canyon, a 2.5 km trip taking from between 2-3 hours depending on water flow, is absolutely incredible. 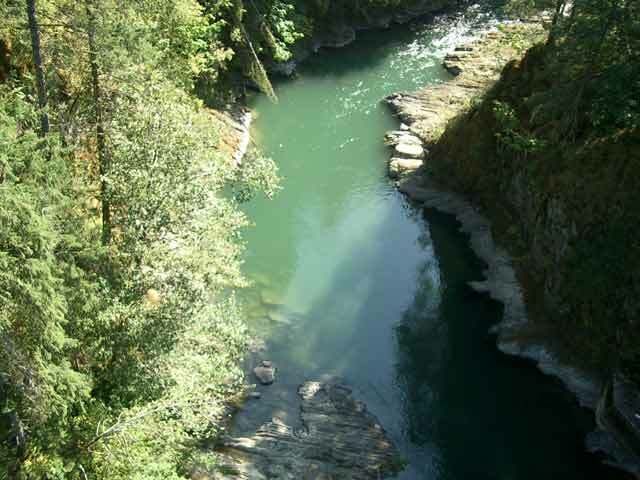 Cowichan River Provincial Park also offers the visitor two separate campgrounds, one at Stoltz Pools and the other at Skutz Falls. During the summer, depending on the release of the warm top layer of water from Cowichan Lake at the weir in Lake Cowichan, determines the speed of your float. There are several areas downstream on the river that are recommended for safe passage and others that have proven to be quite dangerous with injuries and fatalities taking place. Please obey posted signs especially for Pullout Areas and, if new to the river, check for information regarding hazardous water conditions, there have been fatalities in the past. 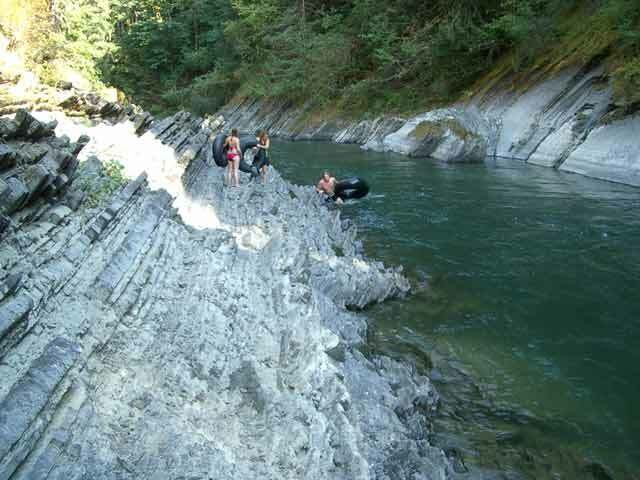 This is particularly important when tubing or passing through Marie Canyon in the Cowichan River Provincial Park. 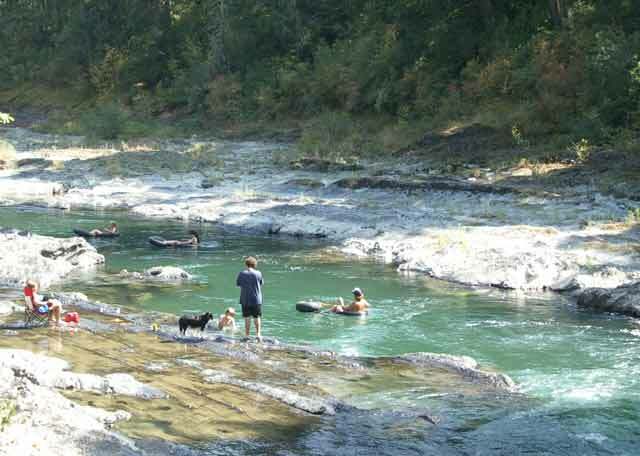 Cowichan River has a long history of being one of British Columbia's best fishing rivers and has been declared a 'Provincial Heritage River.' The best angling, especially fly-fishing, is found during the colder months with species found including Cutthroat, Rainbow and Brown Trout plus Coho, Chinook, Chum and Steelhead Salmon. To access some of the fishing spots you will have to walk along the Trans-Canada Trail or the Cowichan River Footpath. The Cowichan River Footpath or trail starts in Glenora near the Holt Creek Trestle and north for 20 km (13.5 miles) to Skutz Falls. 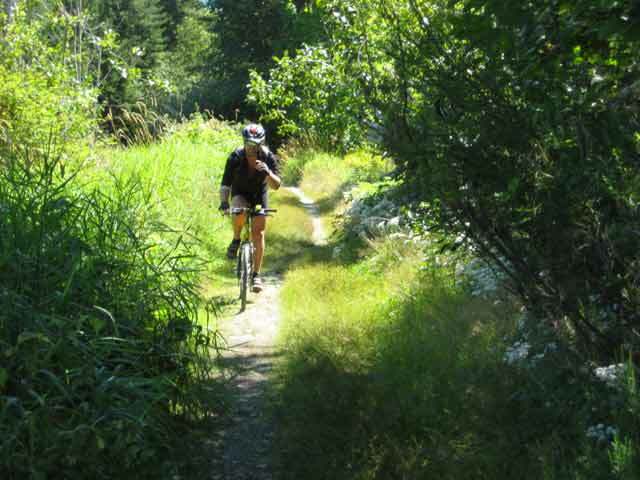 The trail meanders along the river taking you past several deep pools paralleling the Trans-Canada Trail. The Trans-Canada Trail comes from the Kinsol Trestle along the CNR right-of-way also to the Holt Creek Trestle. With funding from the Spirit of 2010 legacy, several rail trestles have now been restored taking you on the Trans-Canada Trail alongside of the Cowichan River through Cowichan River Provincial Park to the community of Lake Cowichan. There are numerous guides and eco-tourism operators that operate through the length of the river offering fly-fishing, kayaking and tubing opportunities. 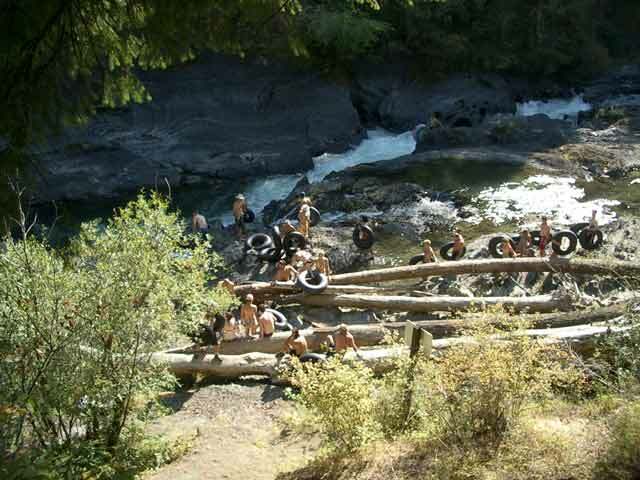 If you require first-hand knowledge of accessing more private pools, these operators are well worth it with their proven and valuable first-hand knowledge of the Cowichan River. Going south between the southern end of Cowichan River Provincial Park and Duncan, there are also a number of areas but, unfortunately, they are either in private hands or have to be accessed by trails that run the length of the river. There is, though, Sandy Pool Regional located on River Bottom Road. 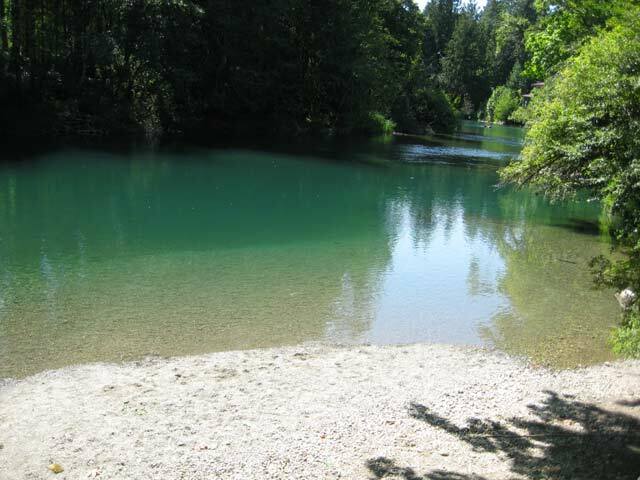 Sandy Pool has a sandy beach, access to Cowichan River with a boat launch and trails to some absolutely massive Cottonwood Trees. 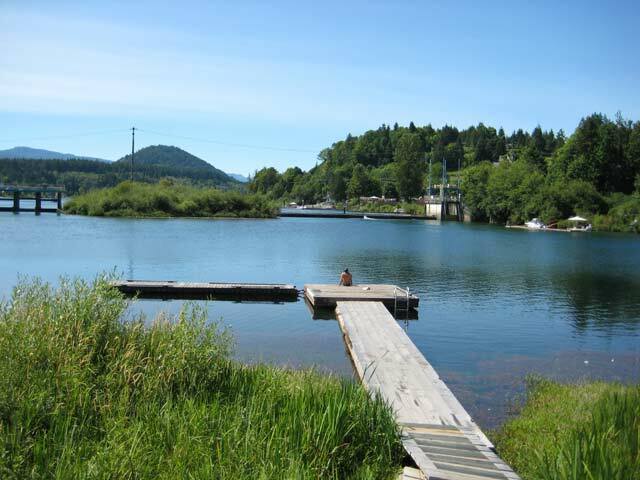 Other Communities where you'll find great fishing, swimming, hiking and fishing along the Cowichan River include Lake Cowichan - near the weir, the 'Duck Pond' and Little Beach on Greendale Road, Duncan near the bridge on Hwy 1 with trails leading towards McAdam Park and bird watching opportunities near Cowichan Bay.